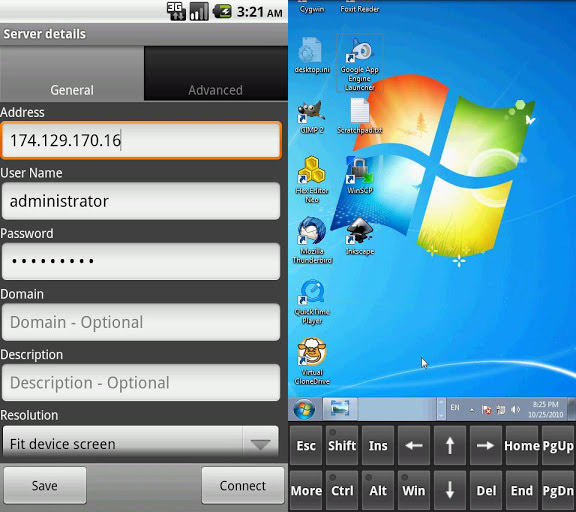 Xtralogic Remote Desktop Client for Android enables you to connect to your computers across the Internet from a mobile device powered by Google Android platform. Once connected, it gives you mouse and keyboard control over your computer while showing you everything that's happening on the screen. You can leave your computer without losing access to your files, applications, and e-mail. Xtralogic Remote Desktop Client is using Microsoft Remote Desktop Protocol (RDP). All the necessary server components are already part of most versions of the Windows operating system. Personal editions of Windows and Mac do not have RDP server functionality, but they can be accessed over VNC protocol. Within one week after a purchase, if you are not completely satisfied with the app, please let us know and we will refund the purchase price.